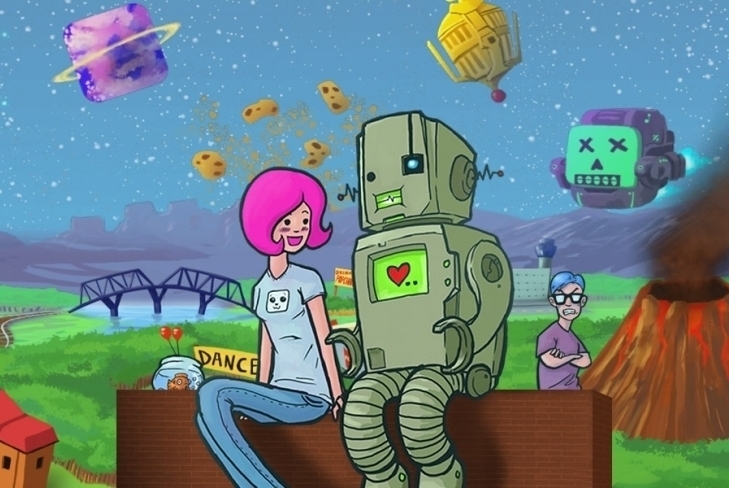 Girls Like Robots goes free for a limited time. "The characters are the playing pieces and their feelings are the rules. Arrange for happiness, but you can't please everybody all the time. Sometimes you gotta break hearts to save the day. And the day definitely needs saving: Volcanos, exploding chickens, planetary invasion and a boy who just wants to dance with a girl." "Catan, the legendary strategy game on iPhone and iPod touch provides gaming fun any time, anywhere. True to the original game, you can compete with up to four players for the most settlements, the longest roads and the largest army. You can trade with each other and claim the precious land with all its resources. "Trauma tells a story of a young woman who survives a car accident. Recovering at the hospital, she has dreams that shed light on different aspects of her identity. Trauma lets you experience those dreams in an interactive way, reminiscent of point-and-click adventure games." "Driven by an epic tale of conquest and redemption, the single-player battles and cutscenes of Ravenmark are gorgeously rendered in lovingly hand-painted 2D. Feel the sound and fury of war as you dig into the most satisfying strategy experience iOS has to offer!"